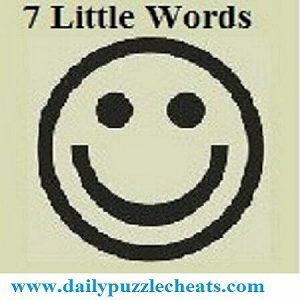 Check answers to 7 Little Words daily Puzzles with its clues here. March 18th answers are solved based on the clue words breaded chicken pieces”, “puts a plan into action” and “Dunkin’ specialities” etc. All solved solutions are given below. You can check more previous 7 Little Words daily answers date wise here. About 7 Little words puzzle game: This game is based on the seven little words with clues. Users have to find the secret word by thinking hard. Who clears the first level can play the second level and 3rd level etc. Basically the first level of puzzle game is easier to solve. It becomes hard to solve the solutions when it reaches the next level. If you don’t have time to solve all the questions, or you may be struck at the particular level. Then you can go forward to the next level without ending the game with our free 7 little words solved answers. You can also check the solutions to the below puzzle games here.